Learn more about the senior care options available to you or your senior loved one here in Fredericksburg. 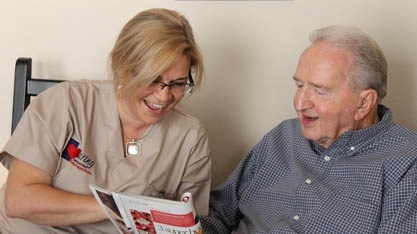 At Caring Senior Service of Fredericksburg, we understand that deciding on long term care for yourself or an aging loved one is not an easy decision. Making the right choice requires some research into the different options available to you. To help we have provided a brief description of the most common options available as well as a few facts about home care.